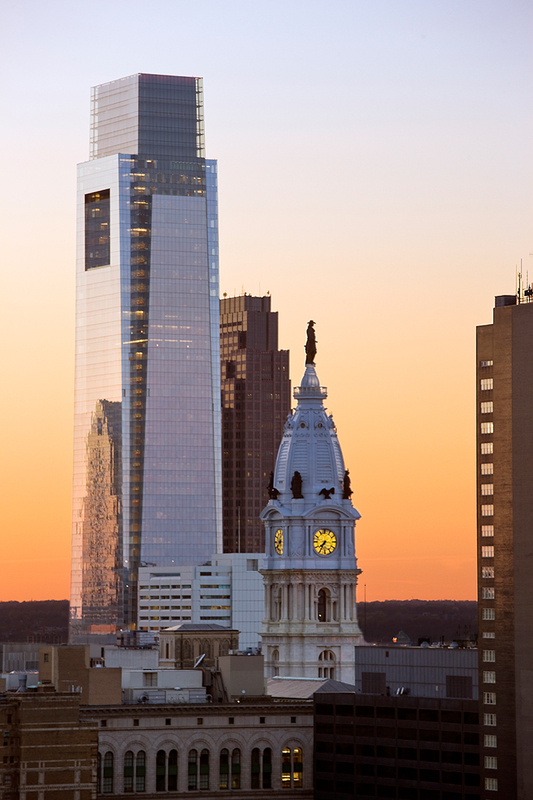 The tallest building in Philadelphia at the time of its construction, the silvery, tapering glass form of Comcast Center stands like an obelisk in the cityscape. 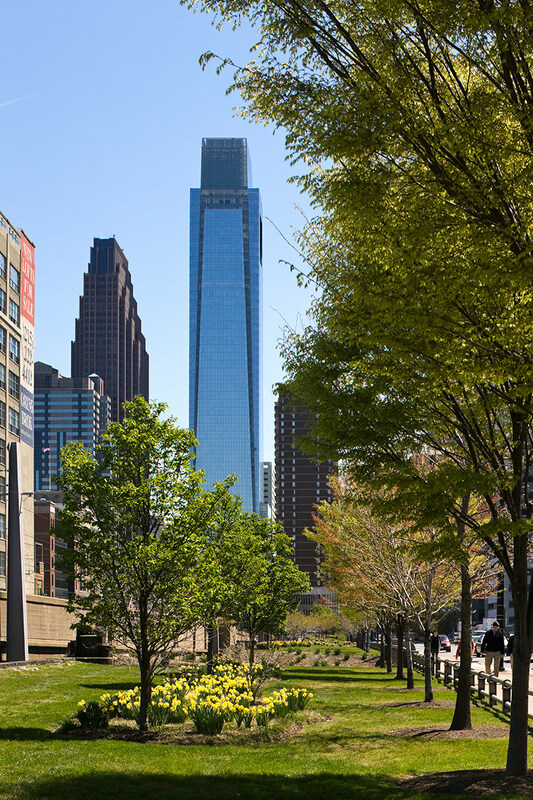 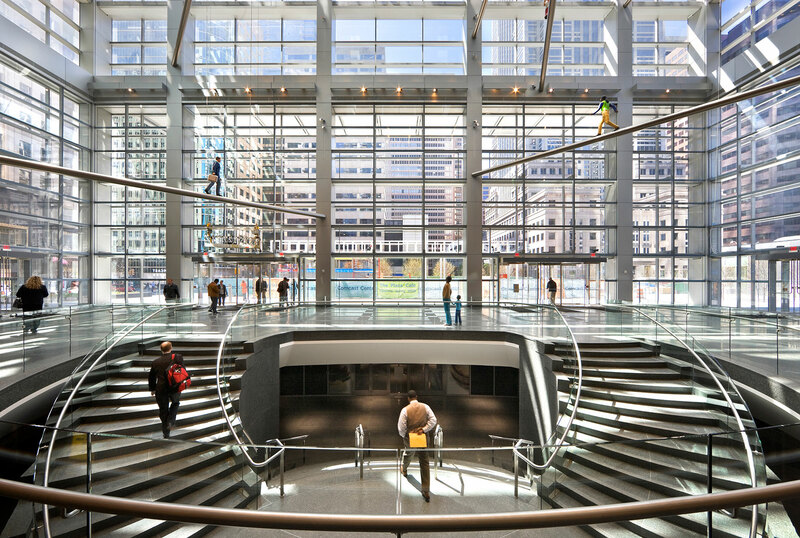 At its base, a 120 ft. high glass winter garden connects the tower to Suburban Station commuter rail and subway station. 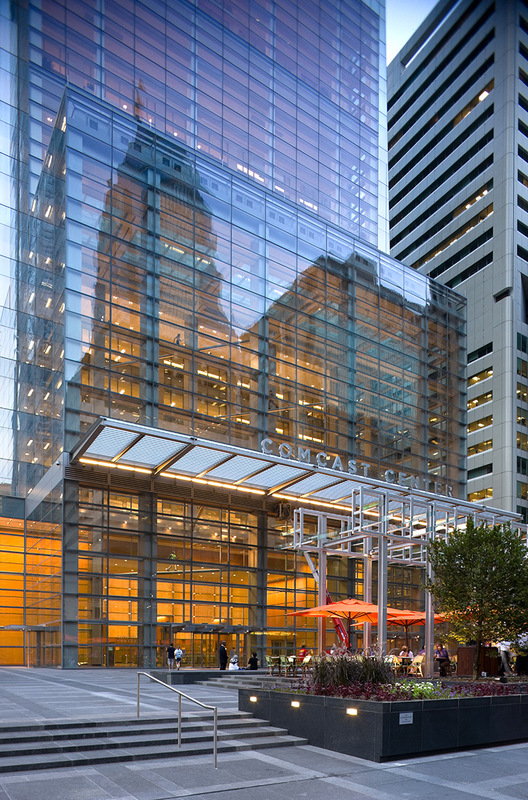 The station with its retail concourse is located below Comcast’s main public outdoor plaza. 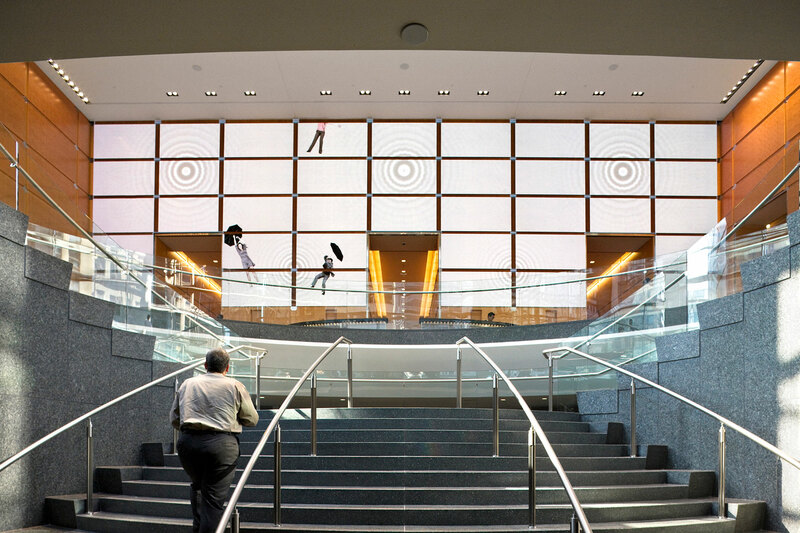 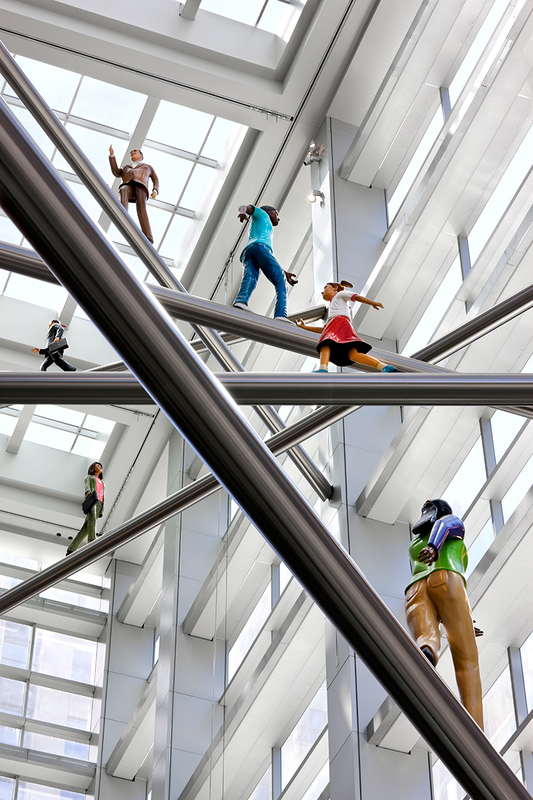 The winter garden houses Humanity in Motion, a commissioned installation by American sculptor Jonathan Borofsky, and The Comcast Experience, a high-definition video installation by David Niles of Niles Creative Group. 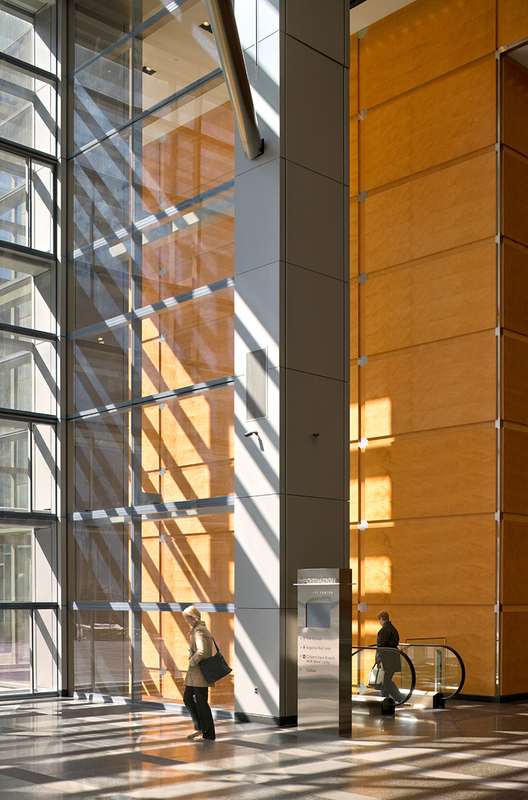 The building design places emphasis on creating a quality workplace environment, with such unusual features as generous floor heights allowing ceiling heights of 11 to 13 feet that create a pleasant, day-lighted workplace for Comcast’s employees. 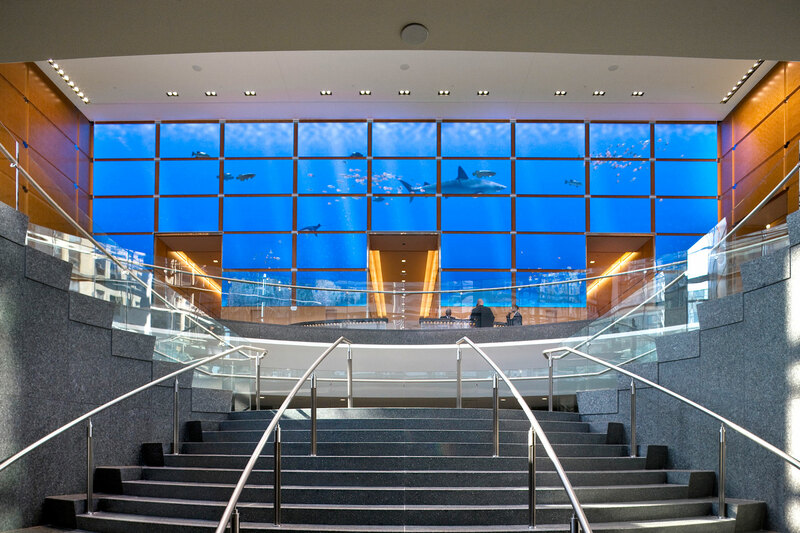 The project is LEED Gold Certified by the USGBC.